If your hot water heater leaks, give SERVPRO a call before it turns into major water damage. Even the smallest leak can turn into a flood in no time. If you come home to standing water in your utility room, give SERVPRO of North Washington County a call. The difference between a $500 water loss and a $4000 water loss can be as little as a few hours. Time is of the essence. SERVPRO of North Washington County is available 24/7, 365 days a year including weekends and all holidays. We also have teams on call to assist with water damage emergencies at all times. If you want more information on the water damage restoration process, click here. If you want to check out some water damage tips, click here. If you own a commercial business, you know how stressful a large fire or water loss can be. SERVPRO of North Washington County is here to help if you have any issues in your place of business and can help you from start to finish. It is important that after a loss, you get emergency services in place right away. This can be many things from removing water, to setting temporary fencing around the property. Once the set up is in place, SERVPRO of North Washington County can begin with the scope of services they need to get the job done. Each job is uniquely different, so it is critical that you allow SERVPRO of North Washington County to assess the job and make sure that they can develop a detailed scope of service for your business. Following these scopes can get your business ready to be open as soon as possible. If you have any questions about what SERVPRO of North Washington County can do for your business, do not hesitate to reach out at anytime. We are always here to help! Who is the best disaster restoration company in Washington County? Who is the best restoration company in Washington County. It is no secret the team at SERVPRO of North Washington County is the premier choice when it comes to disaster restoration. They have the resources and manpower to handle any size commercial loss in the local area. SERVPRO of North Washington County takes great pride in making sure that every job is completed the correct way the first time. Our technicians and managers are extremely thorough from start to finish. They are sure to take plenty of photos and well defined notes on every project. Once the job is complete they provide all records to you. This can be important if you need them for your insurance company. SERVPRO of North Washington County wants to make sure that you have everything you need. If you have any questions, do not hesitate to reach out to SERVPRO of North Washington County at anytime day or night. They are always here to help. You are welcome to call anytime, 24 hours a day. Call SERVPRO, highly trained specialists for black water cleanup. When flooding impacts your Hanover Township, PA, home, there is much to consider in terms of cleanup efforts. 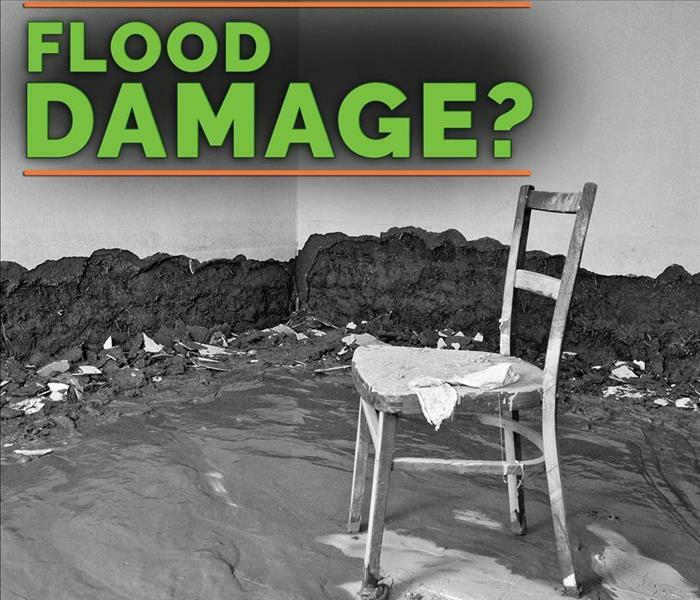 Assessing water damage, draining away standing water and salvaging household items will all likely be among your concerns; however, not all types of flood waters are the same, and those that come from outdoor and sewer sources are usually highly contaminated. If you are facing the cleanup of such water, there are a few tips you can keep in mind to prevent additional damage to your home and belongings. Before you attempt to restore your home after flooding, it is important to understand what different water grades mean. For example, Category 1 comes from sanitary sources, such as from a broken kitchen pipe. Category 2 might include laundry detergent or other types of cleaning residue. Category 3, or black water, comes from storm and sewer flooding and may contain caustic chemicals, raw sewage and other contaminants. If this type of flooding is responsible for any water damage in your home, it is wise to avoid cleaning it up on your own. You can mitigate category 3 water problems by sealing off affected rooms if it is safe to enter your home after flooding occurs. Shut any doors to prevent water from leaking into other areas and stuff their bases with towels. Avoid trying to drain any of the water yourself, as you may come into contact with harmful contaminants. Cleaning up category 3 water is a job best left to professionals who have the equipment and experience to handle it. A storm damage and flooding restoration service can bring in machinery such as trash and sumps pumps and ozone units to drain away the water and clean the air of any offensive odors that may remain. When black water damage affects your Hanover Township, PA, home, understanding how to handle it safely can be vital to the process. While you might be able to perform some mitigation on your own, it is best to call a professional for drainage and restoration efforts. A fire can leave you out of house and home for days on end while the restoration is being completed. SERVPRO of North Washington County can perform board up services in order to secure your home from looters and wildlife. After your house is secure, SERVPRO will begin a pack out and get together all of your damaged belongings and take them back to our cleaning facility in order to remove smoke smell and soot. Give us a call as soon as firefighters leave so we can start the restoration process. After we are done with your home it will look "Like it never even happened." If you want to learn more about the fire damage restoration process, click here. If you want to check out some fire damage tips, click here. Answers To Common Concerns You May Have When It Comes To Content Cleaning. Water damage can be devastating to your Cross Creek, PA, business, and facing the aftermath of a flooded company space is likely to raise a lot of questions for you as its owner. How will you handle soaked inventory? Is there any avenue for salvaging office equipment? Fortunately, working with a flood damage and restoration service can help you answer a few common concerns you may have when it comes to content cleaning. 1. Can Water Condition Affect Cleaning Needs? The type of flooding your building experiences can affect the method of cleaning your items might need. For example, if the source of the flood came from a sink’s broken pipe on a second-floor restroom and water leaked through the ceiling to damage items on the first floor, most will likely be salvageable because the moisture came from a sanitary source. Content damaged by other types of floods, such as those that originated from a sewer backup, usually requires deep cleaning. 2. Can Paper Documents Be Restored? A flooded company usually means damaged records and other important documents. This can be especially common in basement flooding, where such items are commonly archived. Your content cleaning service has several means for preserving and restoring paper items, such as freeze-drying and disinfecting methods. Photos, x-rays and reference materials, such as company handbooks, can also be restored via these processes. 3. Can Clothing Inventory Be Salvaged? If you own a retail clothing company and your inventory has been soaked by flooding, you may be concerned about the possible financial loss this can cause. Ask your flood damage and mitigation service about your options for salvaging these items, such as dry cleaning and sanitation processes. It can be difficult to handle the aftermath of a flooded company space in Cross Creek, PA, especially when multiple items are damaged. However, knowing which questions to ask your professional restoration service may help you realize that much of your building’s content can be salvaged, no matter how the flood occurred. We cannot forecast the number of major storm events, but when storm damage happens, please keep it green with SERVPRO WEST HILLS. The National Oceanic & Atmospheric Assoc. reported that in 2016, flooding alone resulted in an estimated collective $99 billion dollars in loss. Also, remember to review your homeowner's insurance policy to be certain that the policy covers sewer back up. Many homeowners insurance policies DO NOT cover this. You may add $5,000 or $10,000 worth of sewer back up coverage, by adding an ENDORSEMENT to the existing homeowners insurance policy, if the coverage is currently not available on your existing policy. SERVPRO WEST HILLS is here to help when storm events result in disaster for your home or business. Give us a call anytime if you have any questions. 4/23/2019 - Who is the best disaster restoration company in Washington County?